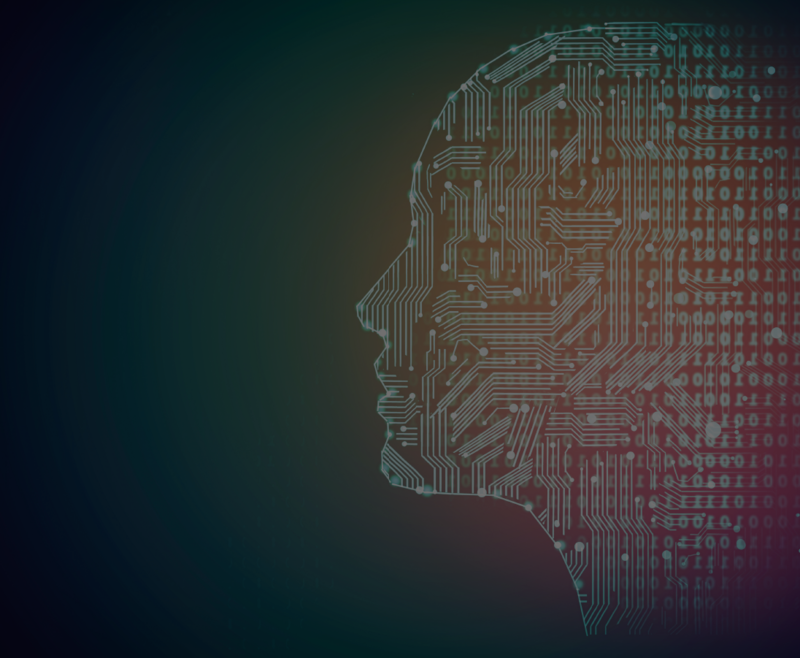 How will AI, machine learning and RPA shake up your industry and change your job? What skills will be needed and how can you prepare for an automated landscape? - What adaptions need to be made in order to adhere to millennial labour trends? Copyright © 2019, MarketforceLive. All rights reserved. Bhavesh leads all things mobile and digital at Britain's challenger bank, TSB. 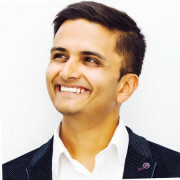 An advocate of user experience, human centric design and the interesection between humanity and technology, Bhavesh is always looking to the next wave of innovation to support customers in their daily lives. He draws on a dynamic range of skills; with over 15 years’ experience in senior positions in banking, defence and telecoms. Bhavesh, originally from Manchester now lives in the midlands with his wife and two kids. In his spare time he enjoys yoga, teaching his kids to code, and being inspired by TED talks! 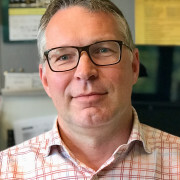 Dr Bertie Müller is Senior Lecturer in Computing and a member of the Computing and Mathematics Research Institute at the University of South Wales. He is Chairman of the Society for the Study of Artificial Intelligence and Simulation of Behaviour (AISB). Bertie holds a PhD in Computer Science from the University of Hamburg, Germany. Before moving to Wales, he worked in the Computer Science Department at Durham University. Throughout his academic career he has collaborated with industrial partners). His main research interests are in resource and location modelling, multi-agent programming, and intelligent systems. He has over 75 publications, many in highly-acclaimed international journals and conference proceedings. Emphasis in his current work is on making technology work for and with humanity by engineering principles of ethics into AI systems. The practice of 600 on-shore consultants offers a portfolio of advisory, build and operate services for clients in the public and private sectors who seek to transform their digital customer experience, their industries and platforms, breaking new ground in operational effectiveness and productivity through automation and insight. Disciplines include Artificial Intelligence, Machine Learning, Big Data and Advanced Analytics; automation solutions including Robotic Process Automation, new leading solutions to exploit the potential of “Internet of Things” and Blockchain technologies. The Practice also includes Finance, HR, Change and Procurement specialists with deliver capability locally, near and off-shore. In IBM Mike has led the UK Banking Practice and was formerly Financial Services Leader in Asia Pacific. He has advised Banking and FS clients globally on cognitive automation and was formerly Global Lead Account Partner for clients including Barclays, Maybank and ABN AMRO. 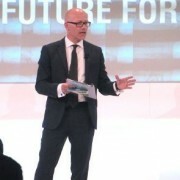 Prior to joining IBM Mike enjoyed an early formative career at Barclays, ultimately leading Operational Strategy for Retail and Commercial Banking, joined PwC as a Director in their Banking Strategy Practice, later Prudential as Transformation Director and immediately prior to joining IBM was Chief Executive of Atos Consulting UK, Americas and Asia Pacific and Board member of Atos UK. Married with two grown children (TV Producer and a would be Data Scientist), Mike is an enthusiastic follower and collector of the works of Elvis Costello. 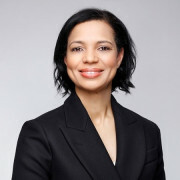 Lindley Gooden is a journalist and filmmaker who has worked at the very top levels of British broadcasting and news since the early 1990s. A presenter on channels as diverse as BBC One, Radio 1, BBC Three and Five and a range of other national and regional radio stations. 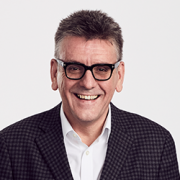 Prior to his years in the national media, he was known as the most successful Head of News in local commercial radio – launching new services and dramatically raising audience share and reach, using tools that have since been adopted by radio groups across the UK. Lindley now works with companies, charities, government and other organisations creating and delivering their own media needs.